THE CONFEDERATE FLAG–A “SYMBOL OF LOVE”? OK–I’ll give you three guesses: where was the picture above taken? If you guessed Santa Barbara D’Oeste, Brazil, you hit it on the nose. One of the more odd Civil-War-related articles I’ve seen in a while was carried by USA Today over the weekend. (You can read it here.) 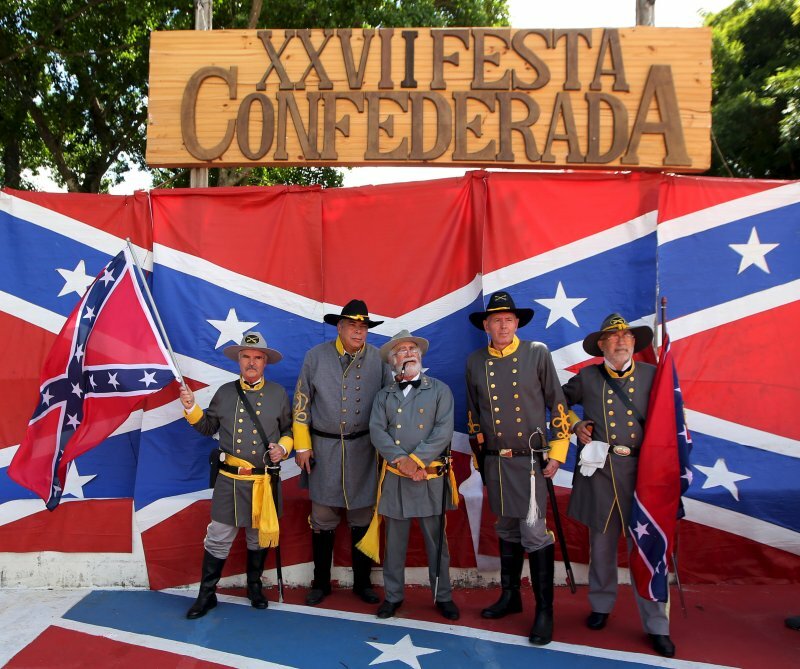 The article, titled “Why These Brazilians Love the Confederate Flag,” was timed to coincide with an annual festival in this south Brazilian city sponsored by the Fraternidade Descendencia Americana. The F.D.A. is an organization of descendants of southern Confederates who emigrated to Brazil at the close of the Civil War. The “Confederados,” as they are known locally, gather each spring to celebrate their Confederate heritage. 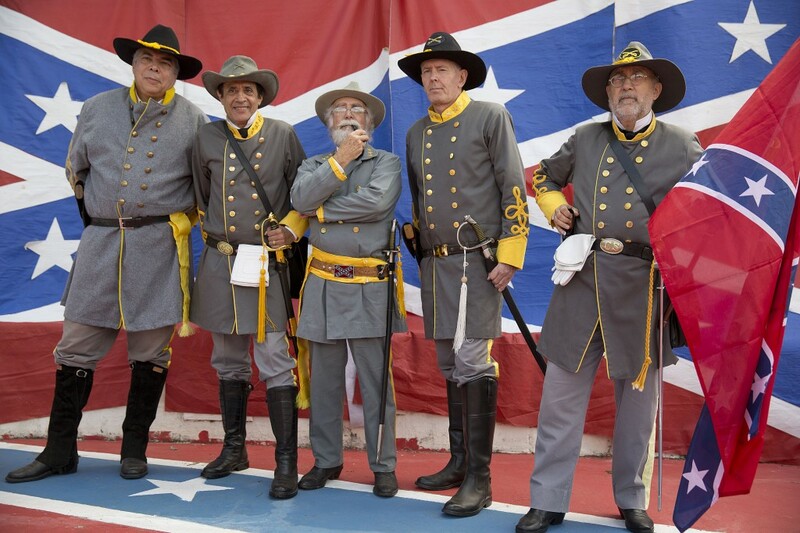 They dress up like rebel soldiers and southern belles, consume large quantities of fried chicken and watermelon, and proudly exhibit Confederate flags–lots of them. The thrust of the article–written, for reasons that I can’t explain, by a British-born sports writer–is to stress that the Confederate battle flag means something very different in Brazil than it does in the United States. Here the flag has long been divisive, hailed by defenders as a reminder of a proud heritage, descried by critics as a symbol of hate. 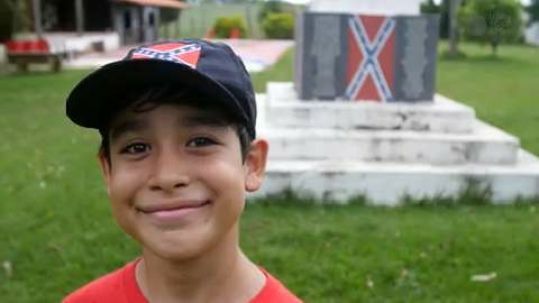 The Confederate battle flag is a “symbol of love” to this nine-year-old Brazilian. I wouldn’t read this piece expecting to learn much about either the recent or the distant past of the United States. The author alludes to Dylann Roof as a 21-year-old who “allegedly” gunned down black worshipers in Charleston last year after posing with the rebel flag. (Why “allegedly”? Does anyone doubt this?) He cites unnamed “historians” to contend that Confederate General Nathan Bedford Forrest (founder of the Ku Klux Klan) “in later life . . . fought racism.” (This is a silly claim that professional historians don’t take seriously.) Above all, he accepts uncritically the Confederados’ claim that the presence of slavery had nothing to do with their ancestors’ choice of Brazil as their new home. In 1866 Brazil was the last remaining nation in the western hemisphere where slavery was legal, and historians agree that the desire to distance themselves from free blacks was “almost universal” among Confederate emigres. On the plus side, the story does remind us that contemporary context is hugely important in determining how historical symbols are remembered. The Brazilian Confederados’ memory of their noble Confederate heritage is as flawed and fantastic as anything you could find in the U. S. South today (e.g., among groups like the Sons of Confederate Veterans or the League of the South). The difference is that, four thousand miles farther south, no one in Santa Barbara D’Oueste seems to care. For more on the Confederate battle flag in historical context, check out my previous posts on the topic here, here, here, and here. 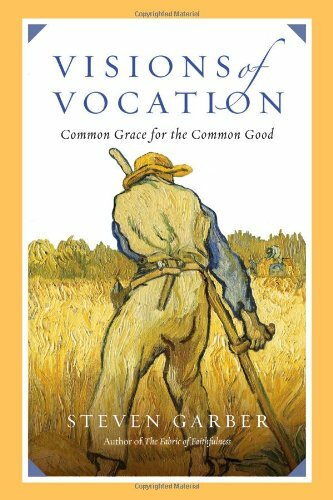 Last week I attended a wonderful presentation here at Wheaton by my friend and colleague Bryan McGraw. In addition to being a connoisseur of southern barbecue, Dr. McGraw is also a first-rate political philosopher. In the course of his presentation, McGraw highlighted an extended passage from one of my favorite writers from the nineteenth century, Alexis de Tocqueville, and I was so struck by its relevance during this election season that I wanted to pass it along. As many of you will know, Alexis de Tocqueville was a French aristocrat who traveled to the United States during the height of the period of Jacksonian democracy. 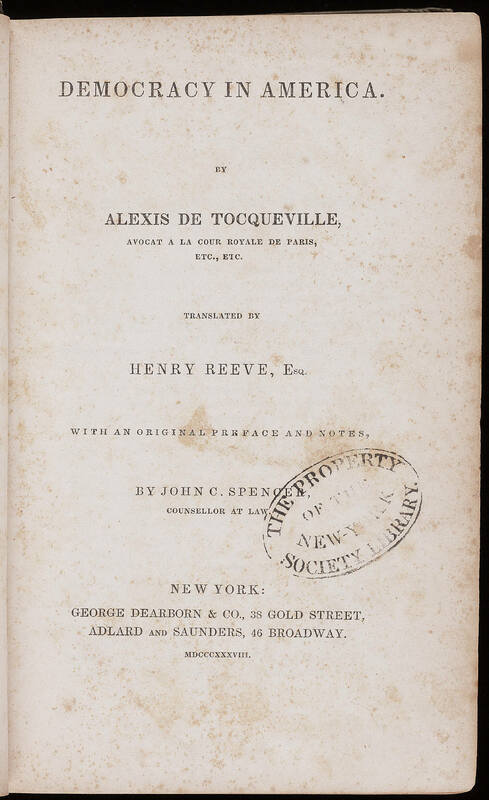 In 1831, at the age of twenty-six, Tocqueville was commissioned by the French government, in tandem with another young aristocratic Frenchman, Gustave de Beaumont, to travel to the U.S. to investigate and report on the American penitentiary system. Tocqueville and Beaumont spent nine months exploring the country, traveling by stagecoach, steamboat, and on horseback from the urban northeast to the edge of the western frontier and back again. Upon returning to France, Tocqueville and Beaumont filed their report on penitentiaries, and then Tocqueville began to pen a much broader set of reflections on American politics, American institutions, American culture, and the American people. 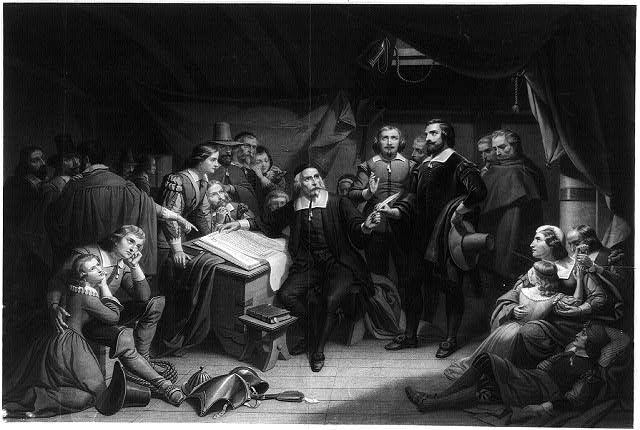 The result, Democracy in America, remains one of the most remarkable commentaries ever penned on the interrelationship of liberty, equality, religion, and popular government. 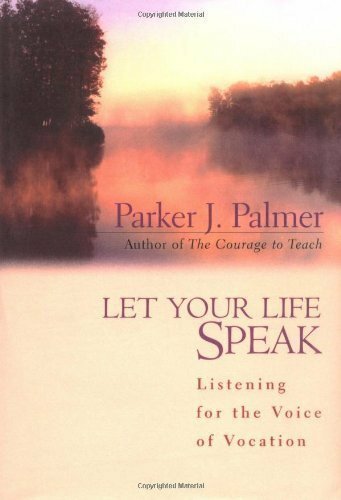 I would be surprised to learn that any of this year’s leading presidential aspirants has ever read it. So how might this come about? Tocqueville believed that there were certain attributes of the popular democratic mindset in the United States that would gradually facilitate the centralization of governmental power. In the extended passage below (from volume II, part 4, chapter 6), Tocqueville shows how the individualist, materialistic ethos that he encountered among Americans might encourage the inexorable growth of government. Read it and see what you think. I am trying to imagine under what novel features despotism may appear in the world. In the first place, I see an innumerable multitude of men, alike and equal, constantly circling around in pursuit of the petty and banal pleasures with which they glut their souls. Each one of them, withdrawn into himself, is almost unaware of the fate of the rest. Mankind, for him, consists in his children and his personal friends. As for the rest of his fellow citizens, they are near enough, but he does not notice them. He touches them but feels nothing. He exists in and for himself, and though he still may have a family, one can at least say that he has not got a fatherland. Over this kind of men stands an immense, protective power which is alone responsible for securing their enjoyment and watching over their fate. That power is absolute, thoughtful of detail, orderly, provident, and gentle. It would resemble paternal authority if, fatherlike, it tried to prepare its charges for a man’s life, but on the contrary, it only tries to keep them in perpetual childhood. It likes to see the citizens enjoy themselves, provided that they think of nothing but enjoyment. It gladly works for their happiness but wants to be sole agent and judge of it. It provides for their security, foresees and supplies their necessities, facilitates their pleasures, manages their principal concerns, directs their industry, makes rules for their testaments, and divides their inheritances. Why should it not entirely relieve them from the trouble of thinking and all the cares of living? . . .
Having thus taken each citizen in turn in its powerful grasp and shaped him to its will, government then extends its embrace to include the whole of society. It covers the whole of social life with a network of petty, complicated rules that are both minute and uniform, through which even men of the greatest originality and the most vigorous temperament cannot force their heads above the crowd. It does not break men’s will, but softens, bends, and guides it; it seldom enjoins, but often inhibits, action; it does not destroy anything, but prevents much being born; it is not at all tyrannical, but it hinders, restrains, enervates, stifles, and stultifies so much that in the end each nation is no more than a flock of timid and hardworking animals with the government as its shepherd. 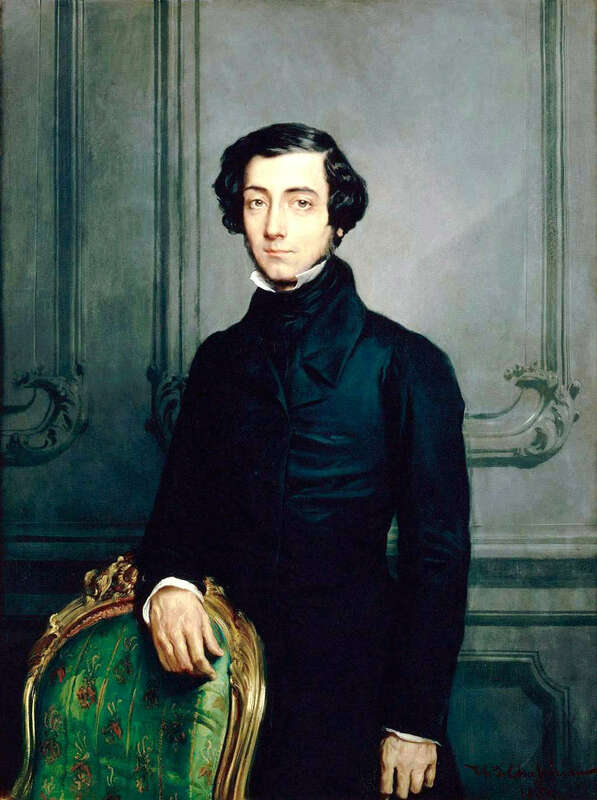 If you’d like to read more on Tocqueville’s critique of American democracy, check out these earlier posts by clicking here, here, here, and here. So what would you make of the following scenario? In a highly charged election year, the Republican Party faces a showdown at its impending national convention. The field of presidential contenders has been large, and no single candidate will come to the convention with a majority of the delegates behind him. Candidate A of New York is the clear front runner, and for months his rank-and-file supporters have considered him the presumptive nominee. But Republican elites are lukewarm about A. His reputation as an extremist gives them pause, and despite the enthusiasm of A’s followers, they worry that A will fare poorly in the general election. They fear that A is unelectable, and by nominating him they will not only sacrifice any chance at the presidency but harm Republican candidates for state and federal offices as well. The future of the party hangs in the balance. As the opposition to A becomes ever more outspoken, a “Stop A” movement works frantically behind the scenes to rally behind a single alternative. The number of potential nominees makes this difficult, however, and the divisions within the “Stop A” movement look to be crippling. Candidate B is a southern conservative with tenuous links to party leaders. Candidate C is an economic and social conservative who has risen to prominence in the Senate but made too many enemies along the way. Candidate D is a northeasterner with a following in his own state but viewed elsewhere as a corrupt opportunist. Candidate E has none of these liabilities, but as the convention approaches this Midwesterner is the first choice of only one state: his own. Although candidate A commands a sizable plurality of delegates when the convention opens, candidate E’s campaign team goes to the convention determined to deny A a first-ballot nomination and open the door for E. Unabashedly pragmatic, their message to delegate after delegate emphasizes expediency. E is electable. A is not. E lacks A’s negative baggage and is widely respected. He is a unifier who has been careful not to denigrate the other candidates. E’s promoters encourage A’s delegates to consider E as a good second choice if it becomes clear that A cannot win a majority on the convention floor. Where it promises to be helpful, E’s team makes thinly veiled offers of future political favors to delegations willing to switch their support to E after the initial ballot. A significant number of wavering delegates are even willing to shift their allegiance before the balloting begins. In the end, the strategy works. On the first ballot, A takes 37% of the vote to E’s 22% (with candidates B, C, and D trailing even farther behind). But as delegates are released from their first-ballot pledge to support A, the momentum shifts decidedly toward E on the second ballot, and by the third ballot E claims the nomination over A. E’s margin of victory? A razor-thin 50.5% to 49.5 percent. So how would you evaluate the outcome of this contested convention? Was it a miscarriage of justice? An assault on democracy? A “brokered” behind-the-scenes deal that bartered the wishes of the people? Or was it a politically prudent compromise that secured the best outcome realistically available? If you say that you don’t have enough information to answer the question, you would be right. But in thinking through the scenario, it might be helpful to know that it isn’t hypothetical. It’s my best attempt to summarize the nomination of Abraham Lincoln in 1860. Candidates A, B, C, and D were Republicans William Seward, Edward Bates, Salmon Chase, and Simon Cameron. We don’t know how this year’s Republican slugfest will play out, of course, but so far I’d say there are some pretty striking similarities to the 1860 Republican contest. And although Donald Trump has modestly proclaimed that he is as “presidential” as Abraham Lincoln, right now the person best approximating that role is probably John Kasich. Abraham Lincoln took 22% of the votes on the first ballot at the Republican National Convention in 1860. So what does this analogy prove? Can it help us to predict how the race for the Republican nomination will come out? Can it teach us how it should come out? Absolutely not. The point of listening to the past is not to get easy answers to contemporary problems. I cringe whenever I hear someone in the public opining ponderously about what “history proves.” We study the past not as a storehouse of simple lessons but as an aid to thinking more deeply, more self-consciously, and hopefully more wisely as we meet the future. History promotes wisdom, when it does, by expanding the range of our experiences to draw from. As C. S. Lewis put it figuratively in “Learning in Wartime,” the student of history has lived in many times and places, and that greater breadth of perspective aids us as we seek to think wisely and live faithfully in our own historical moment. I suspect that much of the popular hyperventilating about the prospect of a contested Republican convention stems from the fact that the last multi-ballot nomination of a major-party candidate came in 1952, before the vast majority of Americans were born. And because we have no memory from before we were born—only people with historical knowledge can have that—we are vulnerable to all kinds of nonsense from those who would prey on our ignorance. The reality is that the presidential primary model that we take for granted today has been dominant for less than a half century. The earliest presidential candidates were chosen without any popular involvement at all, hand-picked by party caucuses in Congress. 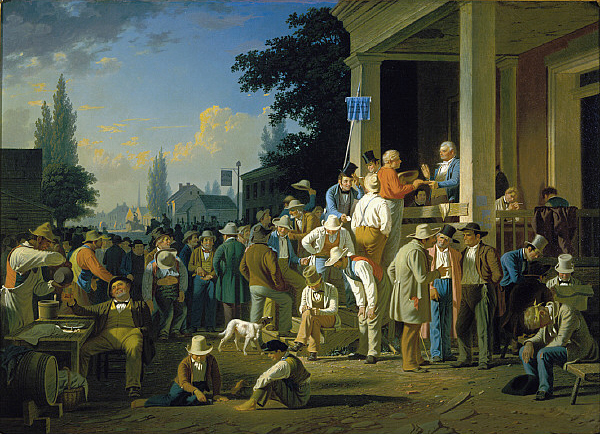 Beginning in the 1830s (following the lead of a bizarre coalition known as the Anti-Masonic Party), the major parties established the pattern of choosing candidates in party conventions. And although some states began to hold presidential primaries as early as 1912, as late as the 1950s conventions still effectively made the final decision, and it was possible for a presidential candidate like Adlai Stevenson to win the nomination without running in a single state primary. 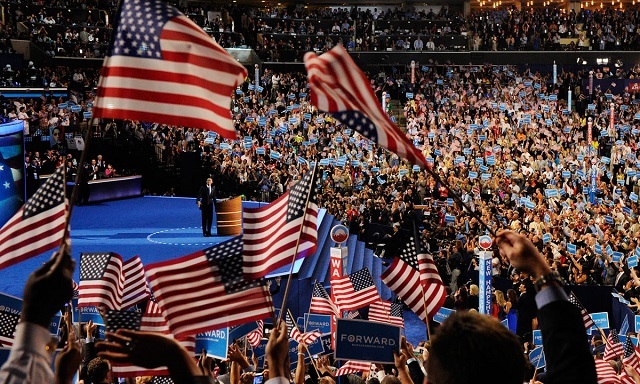 And unlike the conventions of the last half century—which are carefully choreographed, excruciatingly boring infomercials—the conventions between the 1830s and the 1950s were frequently contested. It wasn’t just Abraham Lincoln who was nominated after multiple ballots. Future president James K. Polk was nominated on the ninth ballot at the Democratic Convention in 1844. In 1848 future Whig president Zachary Taylor was nominated on the fourth ballot. Future Democratic president Franklin Pierce was nominated on the forty-ninth ballot in 1852 (and received no votes at all for the first thirty-five ballots). Among other future presidents, James Buchanan was nominated on the seventeenth ballot in 1856, Rutherford Hayes on the seventh ballot in 1876, James Garfield on the thirty-sixth ballot in 1880, Benjamin Harrison on the eighth ballot in 1888, Woodrow Wilson on the forty-sixth ballot in 1912, and Warren G. Harding on the 10th ballot in 1920. And although he lost in the general election, Democrat John W. Davis outdid them all, claiming his party’s nomination in 1924 on ballot number one hundred and three! There was much that was broken about this system of selecting nominees. Political bargains in proverbial “smoke-filled rooms” were the norm, and I’m not recommending that we return to them. But these examples should give us pause and lead us to wrestle with some questions that might not otherwise occur to us about the current Republican contest. Why, for one, would we assume that a candidate with a plurality of popular support has earned his party’s nomination? Is it wrong to take “electability” into question in selecting a nominee? Why do we think that a contested nominating convention is automatically disastrous for the party in question? I have thoughts about all of these, but I’ll stop here and invite you to share what you think. Fame has eluded me until relatively late in life, but that is about to change, and I wanted my loyal readers to be the first to know. There have been some near misses, times when I suspected that popular acclaim was going to elevate me to stardom, despite my shy and humble nature. There was the time, at age five, that I appeared on the children’s show “Fun Time with Miss Marsha.” A decade later I was front man for my church youth ensemble as we performed for a March of Dimes telethon. My mom bragged about that for years. But the closest call was actually after I began teaching, back in 1991 when a retired humanities professor from the University of Florida popularized the theory that Zachary Taylor, not Abraham Lincoln, had been the first American president to be assassinated. Taylor had died in July 1850, sixteen months into his presidency. The cause, according to most historians, was acute gastroenteritis brought on when Taylor gorged himself on raw cherries and iced milk during a Fourth of July celebration in the nation’s capital. Not so, said Professor Clara Rising, who speculated that the twelfth president had in fact been poisoned by one of his political enemies. Although she had no real evidence to support her suspicions, Rising convinced Taylor’s descendants to agree to an exhumation of their ancestor’s remains, and for a week or so that June the nation breathlessly awaited the results of the partial autopsy. Within hours of the announcement of the impending autopsy, a TV journalist from a popular Seattle news magazine program was calling to say that he would like to interview me to get my take on the story. He wanted me to speak about the implications of Taylor’s alleged assassination, how it changed the course of history, etc. I cleaned up my office (no small feat), put on a tie, and in a lengthy interview I shared a plethora of erudite insights about Zachary Taylor, antebellum American politics, and the coming of the Civil War. I could tell that the reporter was deeply moved, although he was too professional to let on. And then the results of the autopsy were announced the next morning, and unfortunately (at least for my television career), there was no evidence of foul play. I never talked to the reporter again. All I got was a telephone message left while I was in class. One of the secretaries in the History Department office had summarized the message on one of those pink “while you were out” slips that functioned as voice mail before there was voice mail. “Taylor wasn’t poisoned, so no story,” said the memo. “Thanks anyway.” Such is the fickleness of fame. Now, twenty-five years later, the siren song of celebrity calls for me again. This was the scene last December in my U. S. History to 1865 class at Wheaton. C-SPAN was there to film a class session for later broadcast on their wildly popular “American History TV” (which probably all of us watch religiously on C-SPAN-3 every Saturday night). 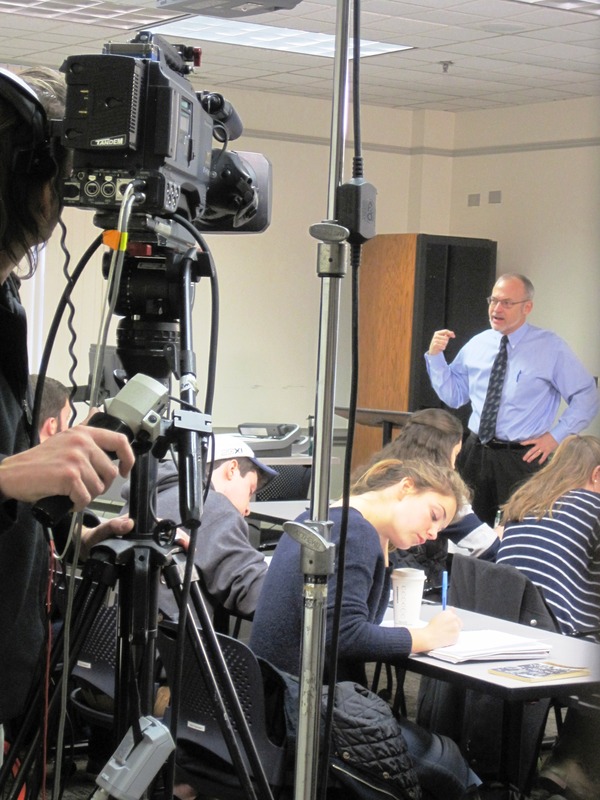 Although the lights, cameras, microphones, and miles of cable were hardly unobtrusive, my students were real troopers. They stayed awake at all times, looked variously intrigued and enthusiastic, and interjected with thoughtful, penetrating comments at the proper moments. It was a bravura performance. Before we get started, may I share something? As I was walking across the beautiful grounds of Wheaton College this morning, I was reminded of how greatly I have been blessed by the opportunity to be a history major here. I can say without hesitation that it has been a transformative experience. Indeed, words cannot express the depth of my gratitude to the Wheaton History Department. You and your colleagues have changed my life forever. 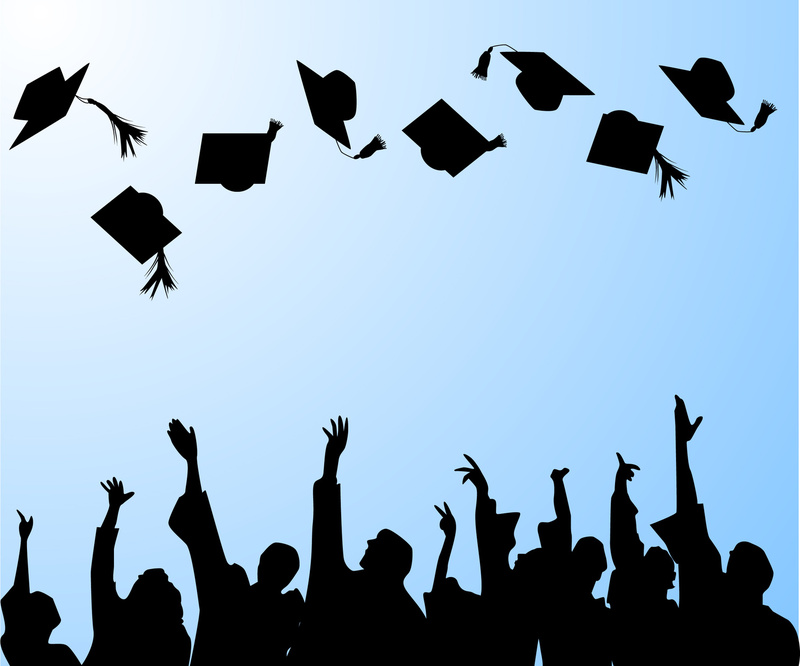 If I were a parent of a high-school senior, I know that I would be encouraging him or her to apply to Wheaton College and become a history major. In conclusion, if it will not embarrass you unduly, Professor McKenzie, I must say that your brilliant lectures, your unparalleled sense of humor, your remarkable wisdom, and your gracious, winsome spirit have been the pinnacle of my experience here at Wheaton College. Thank you, thank you, a thousand times thank you. I’m pretty sure he could have made it sound unrehearsed. My students make comments like this all the time. At any rate, I have purposely refrained from telling you about the scheduled broadcast, for fear that C-SPAN would go bankrupt or that the producer would watch the tape and say “What was I thinking? !” Neither has happened, however, and I can now report that our class session on “Emancipation and the Civil War” will air this Saturday night at 8:00 (eastern) on C-SPAN 3. If your cable plan doesn’t include C-SPAN 3, you can watch the video after the fact from the “American History TV” website by clicking here. April Fools’ Day. I’ve hated this day all of my life. At any rate, the prank got me to thinking about April Fools’ Days in American History, and my thoughts went to one of the most ominous April 1sts in our past. It was April 1st, 1861, and the United States was perched precariously on a precipice. (How’s that for alliteration?) Since the election of Abraham Lincoln as president the preceding November, seven southern states had issued resolutions purporting to sever their ties with the Union. A half dozen more were sorely tempted to follow suit, and would very likely do so if the Federal government took steps to restore the Union by force. As the country waited for the inauguration in March of its new Republican president, the seceding states took steps to constitute themselves the Confederate States of America and set to work confiscating all federal property—forts, arsenals, customs houses, and mints—within their borders. By the time Lincoln took the oath of office on March 4th, 1861, the Union was visibly collapsing and the authority and prestige of the U. S. government was at its nadir. 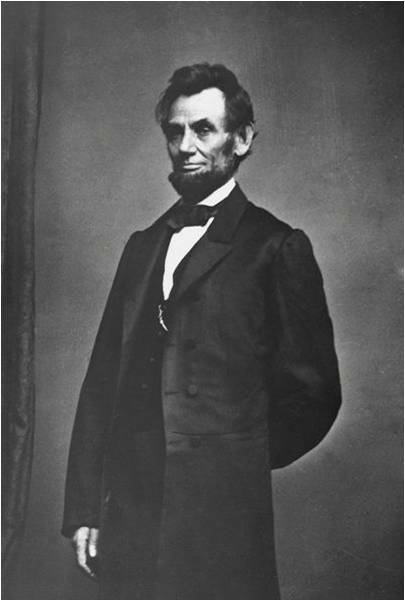 Lincoln and his cabinet—which included four of his rivals for the Republican presidential nomination—were deeply divided as to how to respond to the crisis. In his inaugural address, the president had tried to show both moderation and resolve. On the one hand, he had gone out of his way to try to reassure his southern critics that they need not fear a Republican presidency. On the other, he had insisted that “secession is the very essence of anarchy” and declared that the Union is “perpetual.” Drawing a line in the sand, he had pledged (somewhat redundantly) to “hold occupy, and possess” all federal property within the rebellious states. Implicitly, this seemed to obligate the new president, at the very least, to do all within his power to maintain control of the federal forts in the lower South not yet in Confederate hands—most notably Fort Sumter in the mouth of Charleston harbor. 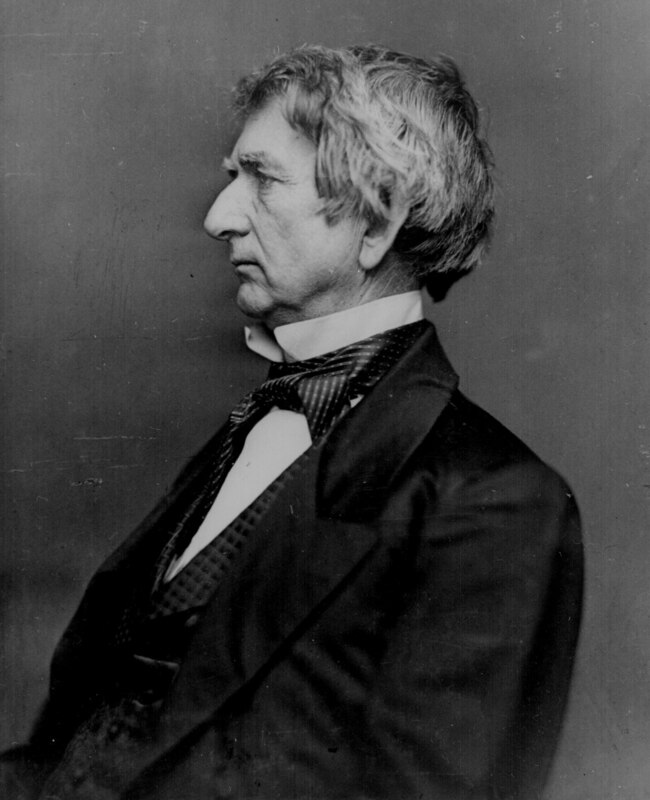 The ranking member of Lincoln’s cabinet—Secretary of State William Seward—led a faction within the administration that sought to avoid a showdown if possible. Seward had much more experience in national politics than Lincoln and had been the odds-on favorite for the Republican presidential nomination in 1860, before losing out to Lincoln on the 3rd ballot. It is quite possible that he had accepted the State Department post—historically the most prestigious and influential cabinet appointment—with the intention of serving as the de facto head of the administration, pulling the strings behind the scenes while the inexperienced Lincoln played the role of puppet and figurehead. Toward the end of March, Seward had met secretly with representatives of the Confederate government, assuring them that the government would not use force to uphold its authority and promising—without Lincoln’s knowledge or approval—that the Union troops assigned to Fort Sumter would soon evacuate the installation. As March drew to a close, and as it became increasingly evident to Seward that Lincoln intended to uphold his inaugural pledge, the secretary drew up one of the most remarkable memoranda ever given to a sitting president by a high-ranking government official. Because Seward forwarded the memorandum—titled “Some Thoughts for the President’s Consideration”—on April 1st, historians have commonly referred to the document as Seward’s “April Fools’ Memorandum.” In truth, the proposals it contains are so outlandish that it is tempting to conclude that the secretary was pranking the president, but he wasn’t. He was in dead earnest. 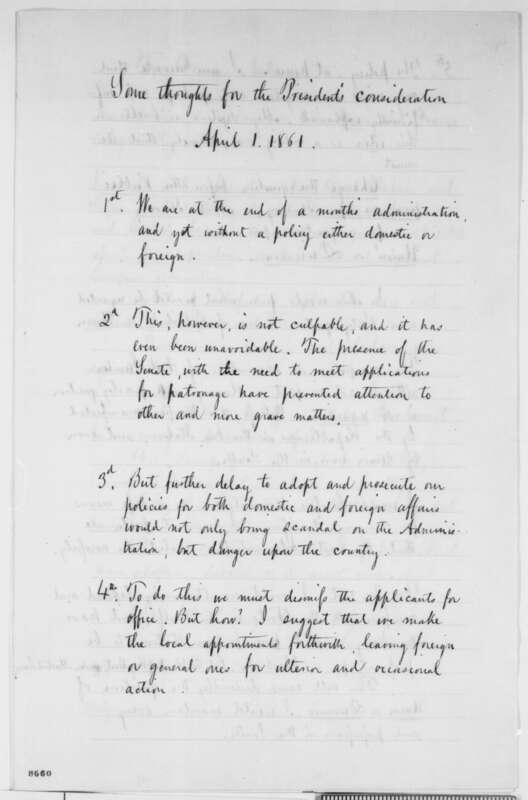 After criticizing Lincoln for having failed to define a clear policy, “either foreign or domestic,” Seward went on to repeat his recommendation that Sumter be evacuated. In Seward’s mind, this sort of concession to the South was the best way both to keep the upper South in the Union and avoid the tragedy of civil war. Then came the clincher. Under the heading “For Foreign Nations,” the Secretary of State recommended to the president that the administration “demand explanation from Spain and France, categorically, at once.” Spain had recently sent troops into Santo Domingo, while France was casting its eyes on Mexico, and Seward was proposing to challenge both on the grounds that they were in violation of the Monroe Doctrine. “If satisfactory explanations are not received from Spain and France,” Seward went on, the president should “convene Congress and declare war against them.” Although he didn’t spell out his rationale for the president, Seward clearly believed that the best way to unify the country was to provoke a war with one of the major powers of Europe. Whatever policy we adopt, there must be an energetic prosecution of it. For this purpose, it must be somebody’s business to pursue and direct it incessantly. Either the President must do it himself and be all the while active in it, or devolve it on some member of his Cabinet. 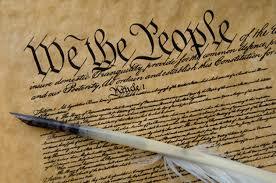 Once adopted, debates on it must end, and all agree and abide. It is not in my especial province but I neither seek to evade nor assume responsibility.